Ah, Frappuccinos. Once a goofy combination of the words frappe and cappuccino that befuddled your Americana-loving grandfather, they’ve become a institution at Starbucks and an official sign of summer. The cultural prominence and fame of Starbucks’ rainbow array of sippable treats is rivaled by little else in the coffee industry. Everyone knows that these frosty favorites are perfect for an afternoon cool down or a sweet dessert, but what you might not realize is that they’re also the perfect source of outfit inspiration. 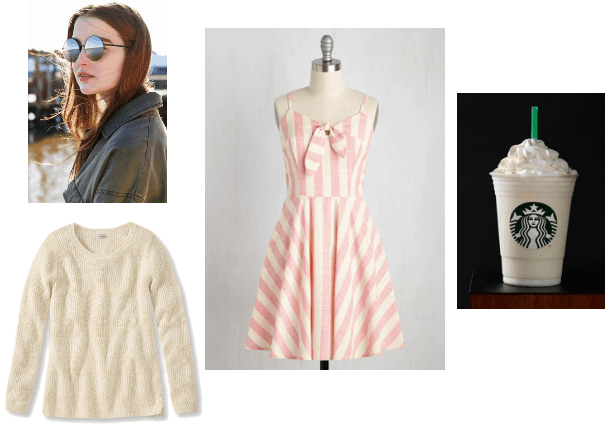 From the classic green straw to the stylish array of colors, Starbucks Frappucinos are fashion trendsetters, and each flavor has its own unique vibe to add to your wardrobe. Don’t let its humble earth tones fool you. S’mores is an indulgent drink. 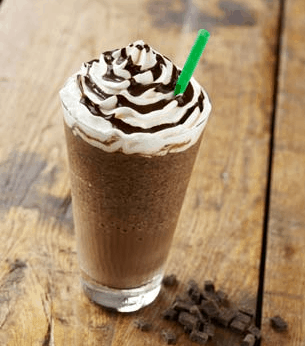 Unwilling to sport a traditional recipe like the other frappuccinos, S’mores breaks away with dramatic, statement-making stripes of cream and chocolate at the bottom of the drink. It’s an overload of sugar, an almost ridiculous amount of decadence. Drinking a S’mores frapp is like wrapping yourself in the most expensive of velvet, the most extravagant gold pieces, and the most luxurious of (faux!) fur. On a college budget, that just means wearing as much drama and glam as you can pour into a 16 oz cup. Sometimes you want to go all out with the unfettered drama of S’mores, but other times, you want or need a more classic approach to style. Vanilla Bean is the ultimate traditionalist, an old favorite that never disappoints. It’s a basics and red lips kind of drink. Vanilla Bean is glamorous, too, but in a more muted way, a refined way that bucks trends for tradition and wins the approval of Grandma every time. Simple, sweet, and unobjectionable, Vanilla Bean is just plain nice. Ah, the secret menu. When the regular list becomes too dull and you need something to show the world you’re different, you turn to the Cotton Candy frappuccino. Sure, it’s really just Vanilla Bean with raspberry syrup, but it knows how to repurpose the old has-beens to make something effortlessly fashionable. Bright, quirky, and oh-so-unique, it’s the hipster of the drinks. Cotton Candy is perfect for a day spent shopping at the most well-hidden thrift stores, discover new brands that your friends have never heard of, and listening to an old collection of vinyls. Which Frapp is your favorite? 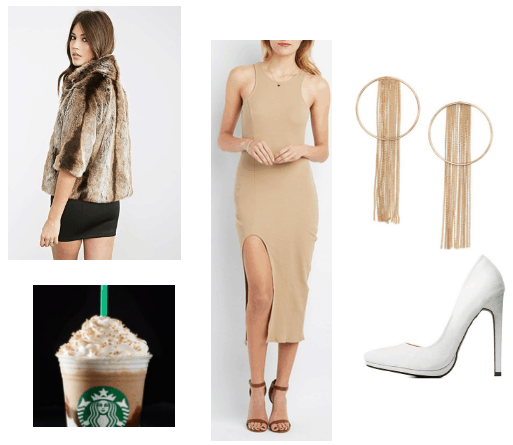 What frappuccino will your channel in your next outfit? Let us know!